Céilí House presenter Kieran Hanrahan invites you to join him at the National Opera House, Wexford on St Patrick's Day for an extended live broadcast of the show. He promises a lively evening, jam-packed with great music and chat. 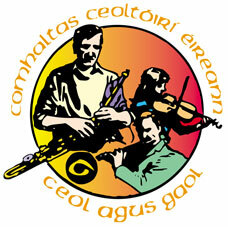 With Wexford bidding to host Fleadh Cheoil na hÉireann there will be a focus on the county's rich musical tradition. The show features instrumentalist and tv presenter Muireann Nic Amhlaoibh accompanied by singer / multi-instrumentalist Gerry O’Beirne and former lead singer of the band Solas Niamh Varian-Barry. Also performing is the fiddle-playing wizard that is Colm Mac Con Iomaire. Wexford uilleann piper Mark Redmond will be there too as will legendary harmonica playing duo John and Pip Murphy. Every Céilí House aims to put the spotlight on local traditional singers and musicians. This one will include a focus on some of Wexford’s rising young stars. The hugely impressive Gorey-based Cairde Cheoil Harp Ensemble brings together some of Wexford’s most gifted young harpists. There will be award-winning grupaí cheoil from Carrig-on-Bannow, Craanford and Gorey, and a very lively trio of young lads from Taghmon. With such a fabulous array of talent on offer this is sure to be a St Patrick's Day show to remember. Show duration: 8pm – 11pm (interval 9pm – 9.25pm). Tickets €15 pp / €10 per child with CONCESSION ticket prices for Comhaltas members of €10 pp / €5 per child. Tel 053 9122144. Online: www.nationaloperahouse.ie.